In preparation for my crochet yoga mat bag pattern, I’m first rolling out the patterns for the strap, flower motif, and a puff stitch tutorial. Then, the star of the show – the mat bag! 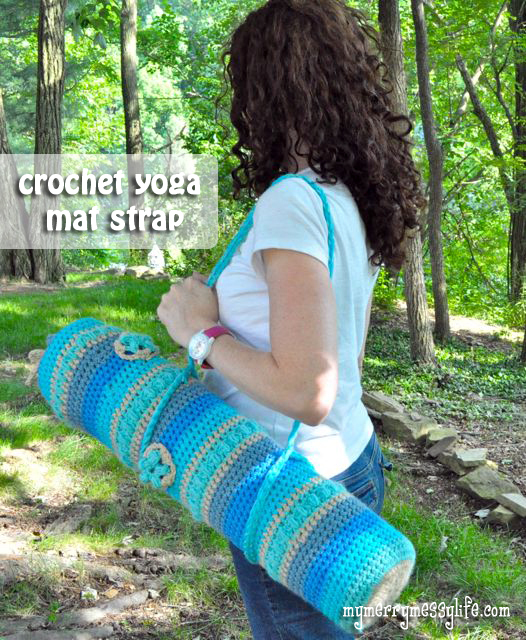 I’m so excited about this strap – it’s so fun to use and doesn’t pull on the yoga mat itself, which is the problem I had with the previous strap. I was cringing as I watched it pull on all my hours and hours of work! 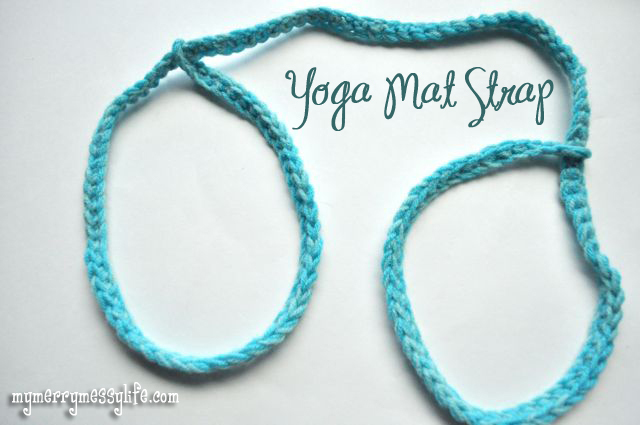 So, here’s the yoga strap pattern! Yarn: Chunky weight or two strands of worsted weight – I used two different colors of Red Heart yarn. 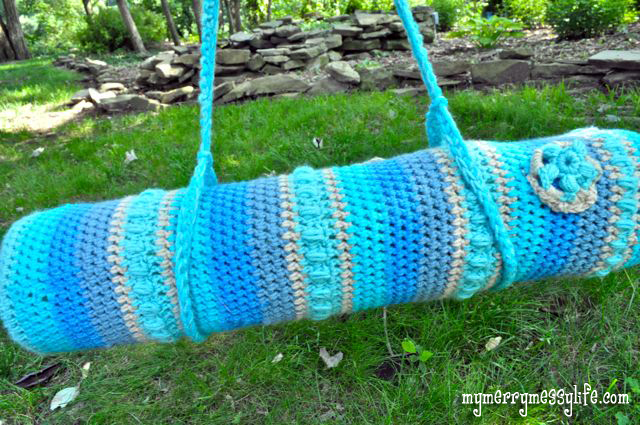 Red Heart yarn is sturdy and perfect for this type of project. Work a SC in the next CH & in each of the chs across, stopping at the loop to join to the closest chain to your hook in the first loop. 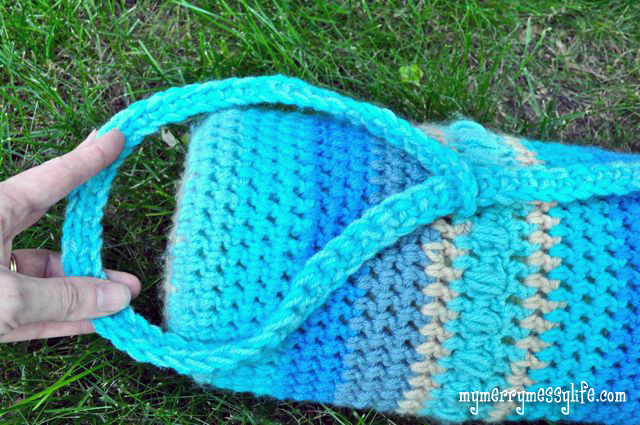 Now, here is a photo tutorial to make it into the two big loops that be adjusted to any size mat. It’s so neat because the original loops can move up and down the strap. 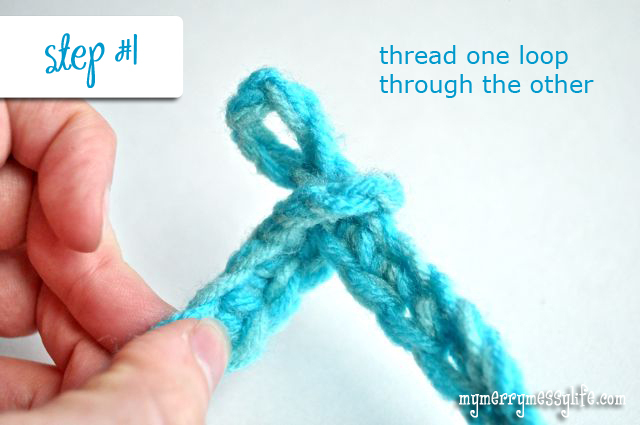 Step #1 – Take one loop and thread it through the other. 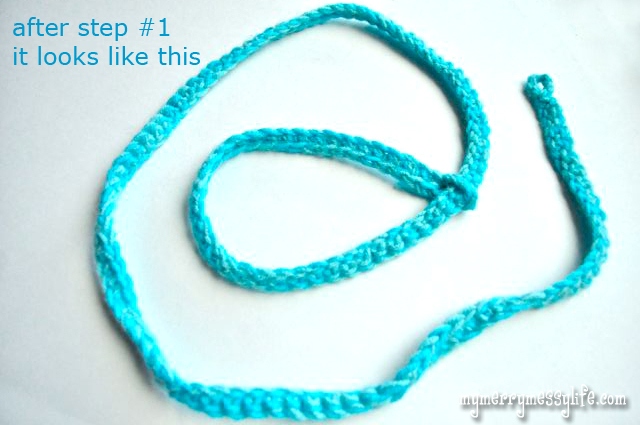 After step #1, it looks like this – one loop done! 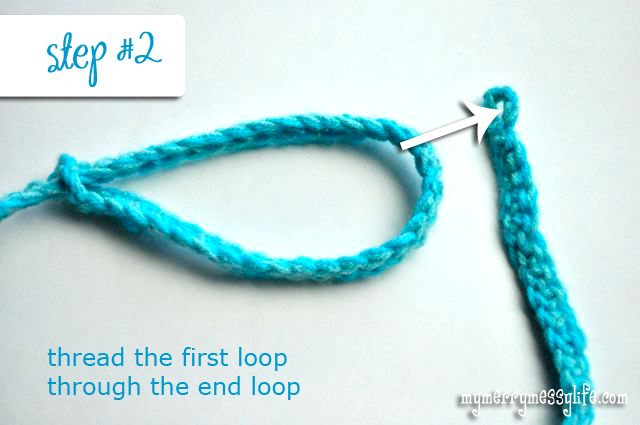 Step #2 – take the entire loop from step #1 and thread it through the other loop. Pull tight until it looks like the first picture. Here is what it looks like with both loops over the bag.